After taking over the Rickshaw Theatre last year, the Desert Daze festival is set to bring another five-band bill to Vancouver this spring, and organizers have now revealed the event's 2018 lineup. The Vancouver edition of Desert Daze Caravan II will take place at the Commodore on May 12. 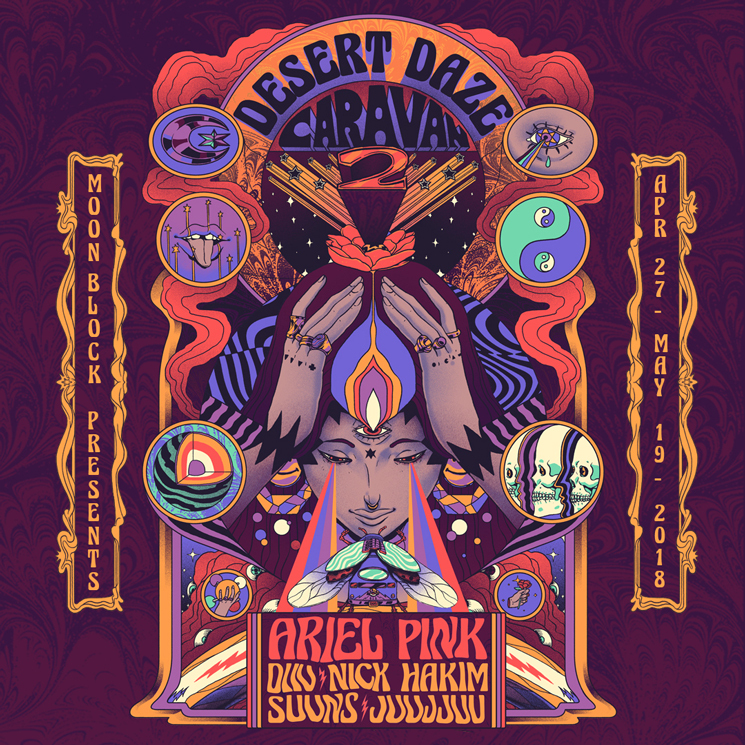 It finds Ariel Pink as the headliner, with DIIV, Nick Hakim, Suuns and JJUUJJUU following close behind. Tickets for the 19+ event are $35.00 (plus fees) and will go on sale to the general public on Friday (March 2) at noon. You can get your hands on tickets here, or in person at both Red Cat Records locations. Ariel Pink delivered his Dedicated to Bobby Jameson LP last year, while Suuns are primed to deliver their new album Felt this March. DIIV last delivered Is The Is Are in 2016.